Professional and prompt and did an exceptional job! Absolutely amazing! So kind and so helpful and patient! We are conducting research for Google with people who work for food delivery services, either the big companies or a smaller one. To qualify you must work at least 2 or more hours per week. The interviews will be done in Pyrmont on Tuesday 25 September and will be just 30 minutes. I'm looking to buy a computer before the end of the month, I have the specs, but the vendors I think are over charging me, I believe if someone could spend an hour researching the best prices online, for the same specs, it could be purchased for less than $3k...I'm being quoted close to $5k, here is one of the quotes: The task is to find the same specs (I will give them to you), and pull together a quote of where I can purchase the same hardware online for less than $3k. I have an idea for the next big thing! Need an app developer who wants to take a chance and create something huge from the ground up as my partner. Take a chance. Create Facebook page for my business. Including pics and re directing to web page. Are interested to do market research today ? Jozef, sorry i can't work out how to just message you to find out more - but it might be best if you come take a look at the place/job. 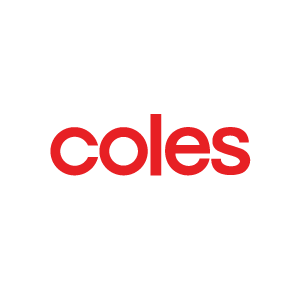 Coles in rosebay quick grocery shop! I am looking for a digital marketing person aware of SEO . Facebook marketing and Instagram and all facets of marketing . I would want 2 hours of consulting with possibility to engage on going . We are conducting research for Google about google maps. The interview will take place in Pyrmont on 7 November at various times through the day. To qualify for the research : Must be at least 18 Must use an Android phone Must be a level 4-8 Google maps local guide Must be an active user of Google maps Must add photos and reviews to place and or edit road/business information If you can answer yes to all of these questions make me an offer. Techno phobe needs social media guru to come to my place in Vaucluse to help me set up and promote my new coaching/counselling business online - mainly Facebook business page but also hoping to start using LinkedIn, Pinterest and maybe Instagram dependent on time and budget. Experience in practitioner social media is an advantage eg how best to reach my audience. Hoping to do this, this week either Monday, Wednesday or Thursday. Marie is a champion and was very attentive and helped me navigate the world of social media in a way that I could understand! $60 for one hour interview . Interviews are near central station. The times are between 9-5 on Thursday 16 and Friday 17 Feb. If you DON'T have an Australian passport (or it expired more than 3 years ago), you can participate! I am looking for a delivery driver for both Sunday & Wednesday afternoons from 4pm. I need someone with a clean and tidy van, and who is professional. I have my own food delivery business and will need help with deliveries both days for about 2-3 hours. Hours will increase weekly as the business rapidly expands. I am looking for someone who can commit to both days and on a weekly basis. We are based in Vaucluse, and deliveries are only in the eastern suburbs of Sydney. Start date- this Sunday the 11th of September.